The first twelve of these are baleen (whalebone) whales, filter feeders with baleen plates instead of teeth and the sperm whale is the largest toothed whale. Click on the link to see more detailed information on each species. Conservation: Heavily reduced by whaling up to the late 19th century. Only one population is in a healthy state, the Bering-Chukchi-Beaufort Seas stock. 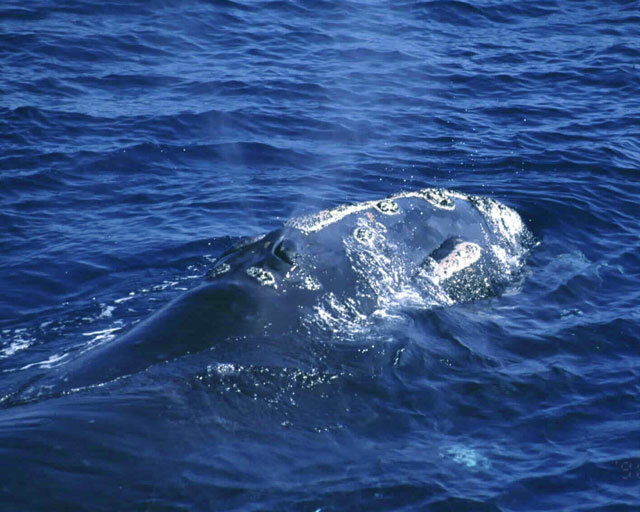 Conservation: Heavily reduced by whaling up to the late 19th century, the largest stock remaining is in the western North Atlantic and numbers only about 300 animals. This is one of the most endangered species of great whale. Conservation: Heavily reduced by whaling up to the late 19th century. This is one of the most endangered species of great whale. Conservation: Heavily reduced by whaling up to the late 19th century, but showing encouraging signs of increase in several regions, notably off Australia, Argentina and South Africa. Conservation: Heavily reduced by whaling up to the late 19th century. 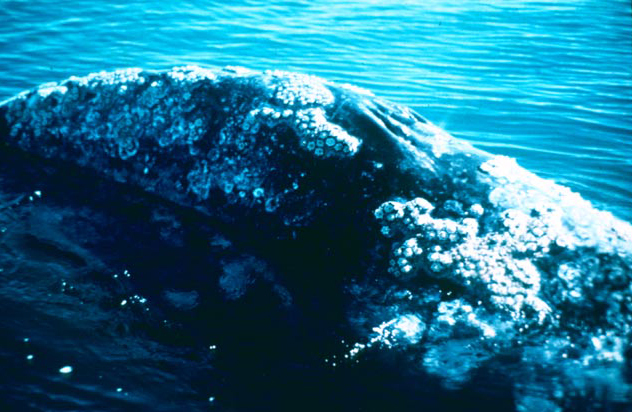 The eastern stock has returned to close to its original population size (ca 20,000) whereas the western stock numbers less than 100 animals and is one of the most endangered populations of great whale. 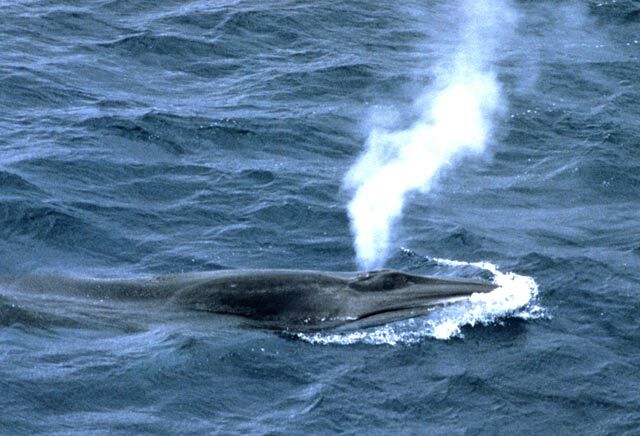 Conservation: The primary target species of modern whaling, it was reduced in all waters to very low levels until protected in the mid-1960s. Showing some signs of recovery in the Southern Hemisphere and North Atlantic but generally remains at very low levels. 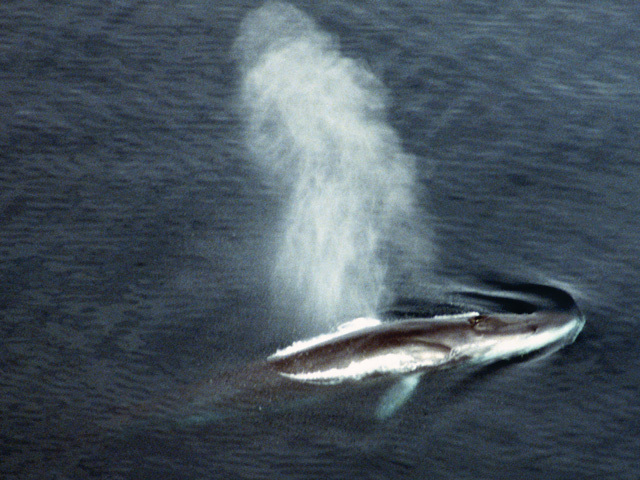 Conservation: A primary target for modern whaling. Heavily reduced, particularly in the North Pacific and Southern Hemisphere. Evidence of recovery in the North Atlantic and parts of the Southern Hemisphere. 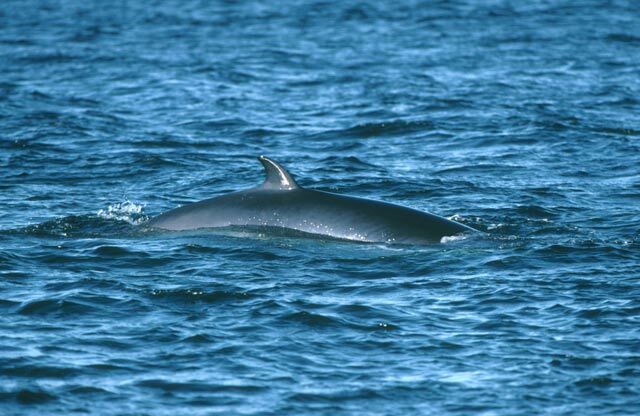 Conservation: A target for modern whaling but not reduced as heavily as blue and fin whales. Distribution: North Atlantic and North Pacific, from tropical to polar waters. Dwarf form found in Southern Hemisphere. 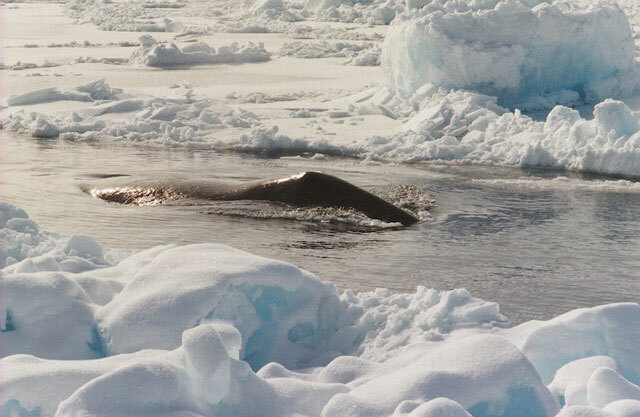 Conservation: Has been hunted in the Antarctic and some more northerly waters (e.g. Brazil, South Africa) but remains abundant in most areas. 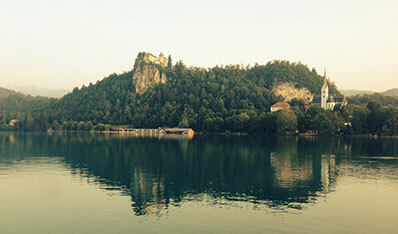 Conservation: Has been heavily exploited in the past but recovering in most areas. 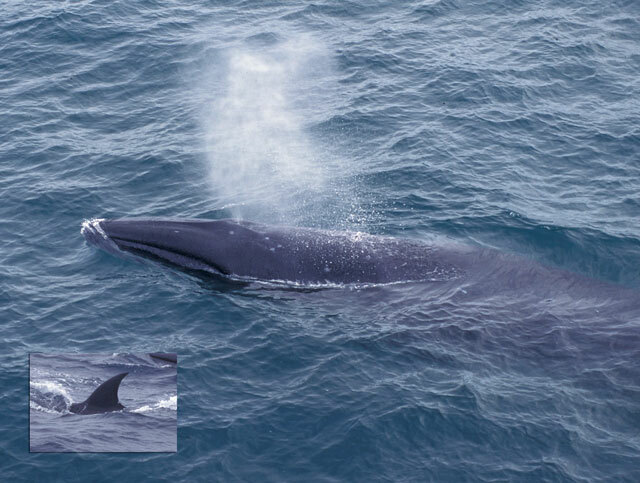 The general pattern of life for the baleen whales is to breed in the temperate and warm equatorial waters in the winter months, and to feed in more polar waters during the summer (apart from the Bryde’s whale that does not migrate to the polar waters). Most species carry out long migrations each year between the breeding and feeding areas. Because the seasons are opposite in the Northern and Southern Hemispheres, whales in the two halves of the world do not mix. The baleen whales have several hundred elongated triangular baleen plates growing down on either side from the roof of their mouths. These plates are made of a horny material and not of bone, even though they are popularly called whalebone. The baleen plates are 1-3cm (1/2-1 inch) apart and fringed internally with fibres forming a sieve. The whale takes in a large mouthful of water containing the shrimps or other small crustaceans or fish on which it feeds. When the mouth is closed, the throat region tightened and the large tongue pushed up, the water is forced out between the baleen plates and the food is left trapped and can be swallowed. Some whales can also swim with their mouths open, straining out food continuously. Most baleen whales feed for only four or five months a year when they are in polar seas which are particularly rich in food. A large whale will swallow two tons of food a day, and it builds up a store of energy in the form of a thick layer of blubber under the skin to last it through the rest of the year when it feeds very little. 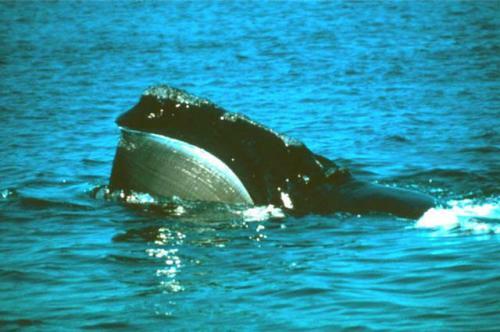 The baleen whales migrate several thousand miles to their breeding grounds in the warm waters where they pair and mate. The females carry a single young for almost exactly a year. During this time they migrate to the summer polar feeding grounds and then return to calve in the warm water areas. The calf of a blue whale is about 7m (23ft) long at birth and weighs two and a half tons. It feeds on its mother's milk for seven months while the whales migrate to the feeding grounds where the calf is weaned and can fend for itself. By this time the blue whale calf has grown to a length of 16m (53ft) and a weight of 23 tons. The mother then has a five months long resting period in her breeding cycle, during which she migrates back to the warmer waters where she mates again, two years after the start of the previous pregnancy. 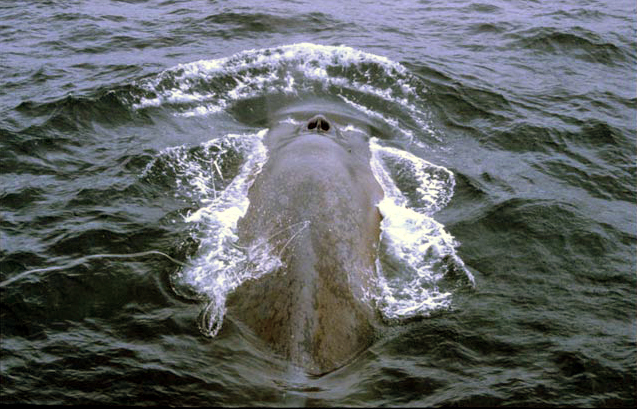 Hearing is the most important sense for whales, which allows them to find their way around in the low light intensities which occur below the ocean surface. Whales make a wide range of sounds by which they echo-locate to find their food, detect all the other animals and physical features in their environment, and also communicate with each other. An important part of the hearing mechanism in some species of whales is a horny plug in the ear canal. 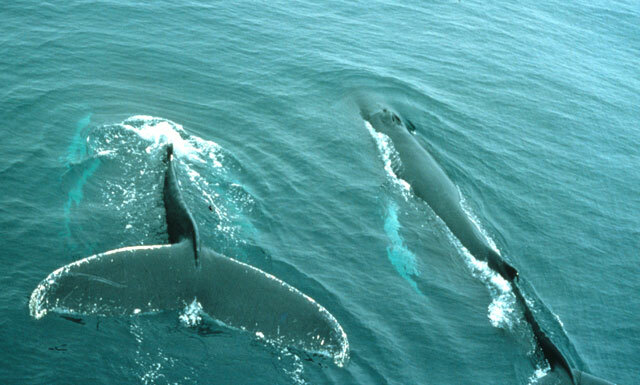 This has particular acoustic conducting properties which gives the whale its acute sense of hearing. The earplug has a layered structure which is visible when the plug is bisected. It has been discovered that one growth layer is formed each year (rather like the rings in a tree-trunk), so that the age of the whale can be found by counting the number of layers. 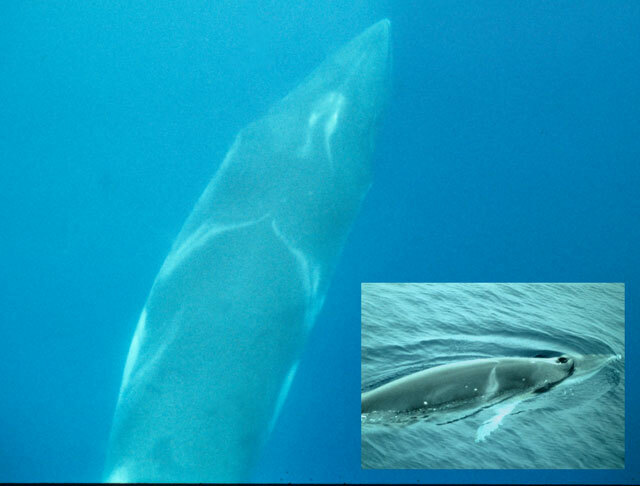 These counts show that fin whales may live for up to 90 years, so that they can have a life-span very similar to man. The sperm whale differs in many respects from the baleen whales. In particular, like the small cetaceans, they do not have baleen plates in the mouth but have teeth (hence the scientific name of the suborder: Odontoceti). Male sperm whales grow much larger than the females, up to 18m (60ft) in length and 70 tons in weight compared to 11.5m (38ft) and 17 tons. 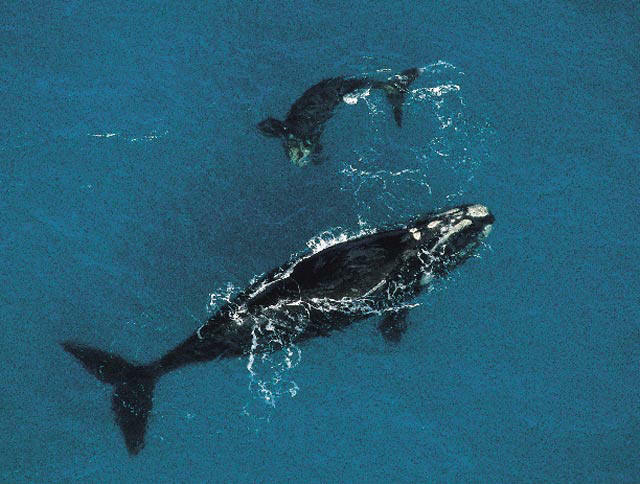 The single young is carried for 14-15 months by the mother, the calf is then suckled for about two years and a resting period completes the normal four year breeding cycle. 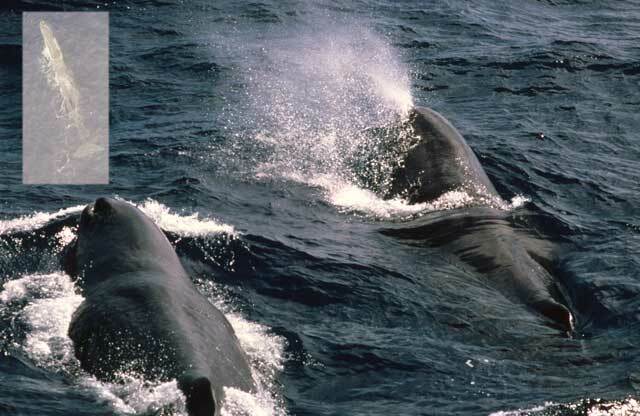 Sperm whales do not carry out the regular annual migrations between the warmer and colder seas characteristic of the baleen whales, although there are regular seasonal shifts of the sperm whale populations. The females, juveniles and small males swim about in nursery groups numbering 10, 20 or more animals and they remain in temperate waters all the year round. During the winter breeding season they are joined for a time by one or more large males. Medium sized males tend to swim together in groups of half a dozen in the temperate waters, but the biggest males are rather more solitary. It is only the big male sperm whales which penetrate into the polar seas. Sperm whale diet consists mainly of squids, which are swallowed whole, and fish are also eaten in some areas of the world. A large male sperm whale will eat about one and a third tons of food a day, although a female only requires a quarter of this amount. The teeth of the sperm whale can be used to find the age of the animal. They are composed largely of dentine, which is deposited in a series of annual layers. The teeth are sawn in half lengthways and etched with acid to help distinguish between the different layers. The layer counts show that sperm whales live for up to 60+ years.